Begin the morning by flying over the town of Kalbarri, then along the majestic Coastal Cliffs that tower over Gantheume Bay, with the lovely red sedimentary rock colors. The coastal cliffs have been over 400 million years in the making and were once part of an ancient coral reef system. 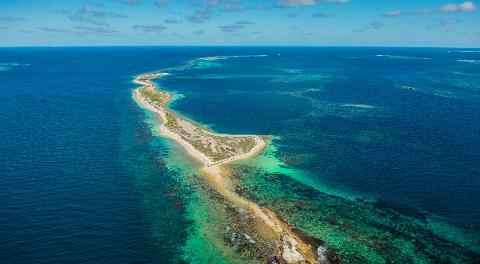 Continue to the Abrolhos Islands. a chain of 122 islands and associated coral reefs in the Indian Ocean, approximately 65 kilometres off the west coast of Australia. It is the southernmost true coral reef in the Indian Ocean, one of the highest latitude reef systems in the world and one of the most important seabird breeding sites. 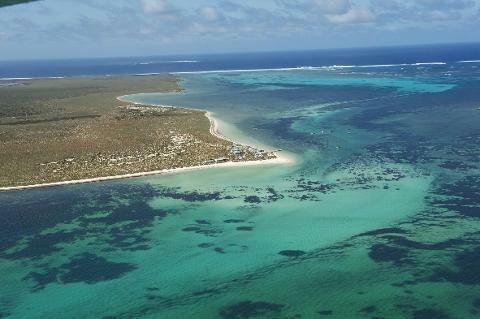 Composed of three groups of 40 islands each, The Abrolhos boasts an incredible range of marine life and spectacular coral gardens that are excellent for diving and snorkelling while sea lions, dolphins and migratory whales are often spotted in the area. We land on East Wallabi Island, known for its beautiful coral and turquoise bays where a delicious afternoon tea with tea and coffee is served (included). 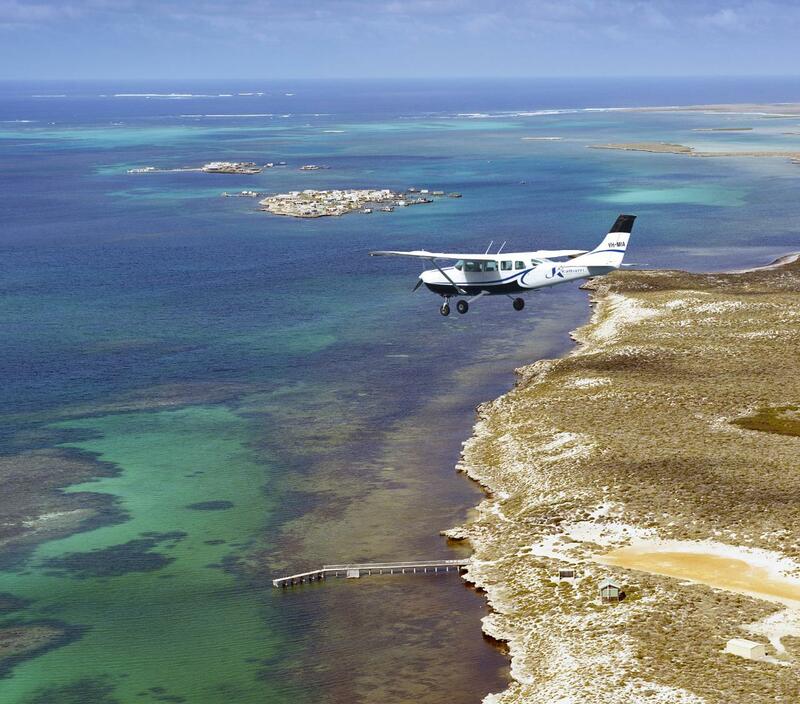 Return to Kalbarri flying over the breathtaking Abrolhos Islands coral atolls and the site of the historical Batavia shipwreck. This Dutch ship which was wrecked on Morning Reef in the Abrolhos Islands in 1629. Dozens drowned while the survivors including 125 men, women and children were then murdered by a mutinous merchant.